"Why Be Happy When You Could Be Normal" is the title of a book by Jeanette Winterson quoting what her tyrannic Pentecostal mother told her when Jeanette left home because in love with a woman. 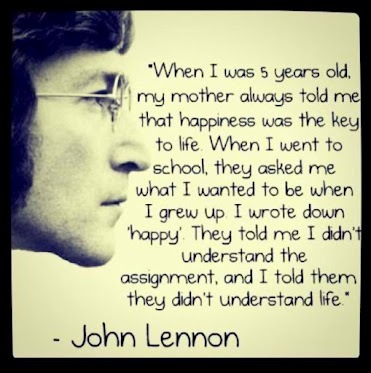 Obviously John Lennon’s mother was not another of the kind according to this awesome quote. Better trust John, understand life and definitely do your best not to be normal. Really fond of this visual for a new scent by Killian. Silhouettes hautes, mystérieuses, inquiétantes, tournées vers les quatre points cardinaux. Ces étranges géants semblent garder le toit du monde, le Septentrion, contrée de contes et de fantasmes – en fait, d’immenses conifères de Laponie, figés de froid et de solitude, qui ploient sous le poids de la neige qui les a ensevelis. 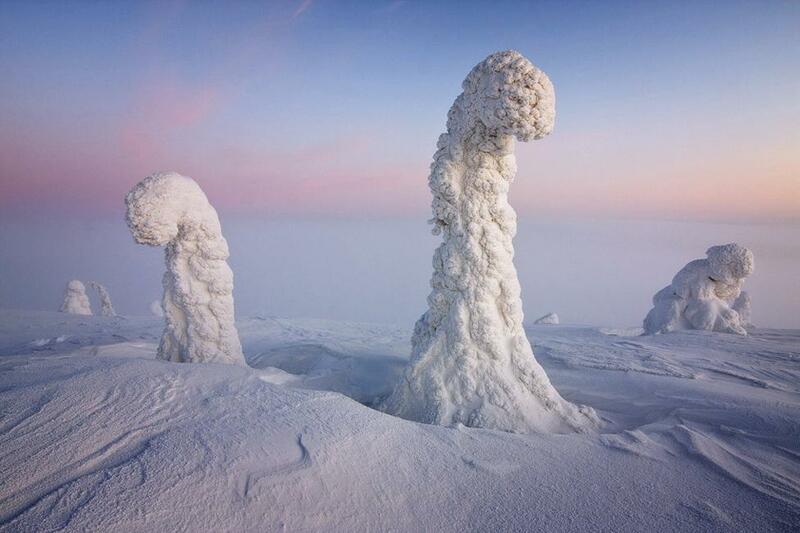 L’étrangeté de la scène est encore renforcée par la lumière irréelle de l’hiver finlandais, qui sculpte ces immobiles sentinelles. Au printemps, tout sera vert. 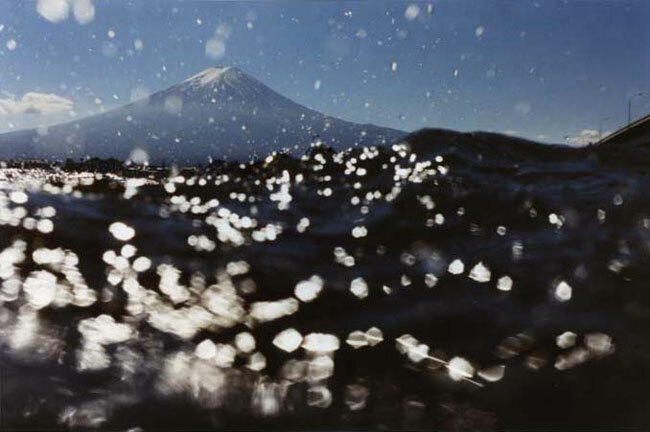 Photographer artist Asako Narahashi interviewed by Bridget Fitzgerald. The Economist’s cover page is pretty explicit! It is now up to Europe’s politicians to deal finally and firmly with the euro. If they come up with a credible solution, it does not guarantee a smooth ride for the world economy; but not coming up with a solution guarantees an economic tragedy. 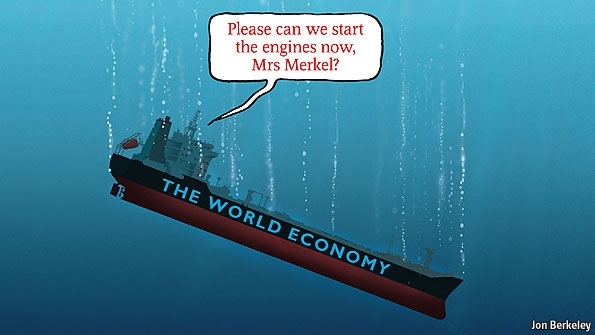 To an astonishing degree, the fate of the world economy depends on Germany’s chancellor, Angela Merkel. Discovering Jonathan Harris was purely a serendipity process. I was musing for nice design pieces at Swiss Miss when struck by a post headline shouting "Jonathan Harris: Rethinking Social Networking". Not easy a task, not a benign ambition! In this speech, Jonathan Harris describes the four pivotal trends in social networking… four trends that are reshaping culture and brain chemistry in the digital age: Compression, Disposability, Curation, and Self-Promotion. Would such topics make sens for you, then rush to Modern Medicine, his latest opus. All technology extends some pre-existing human urge or condition: a hammer extends the hand, a pencil extends the mind, a piano extends the voice. All technology amplifies something we already possess. [...] When designing technology, you should understand what human urge or condition you will be extending. You are currently browsing the Blog Odyssée weblog archives for June, 2012.